You know the life of the posh? The 'tai tais' (rich housewife) as you call it? Well, I managed to experience that in a day in the newly refurbished Posh! Nail Spa =) Yes, it fits the name. 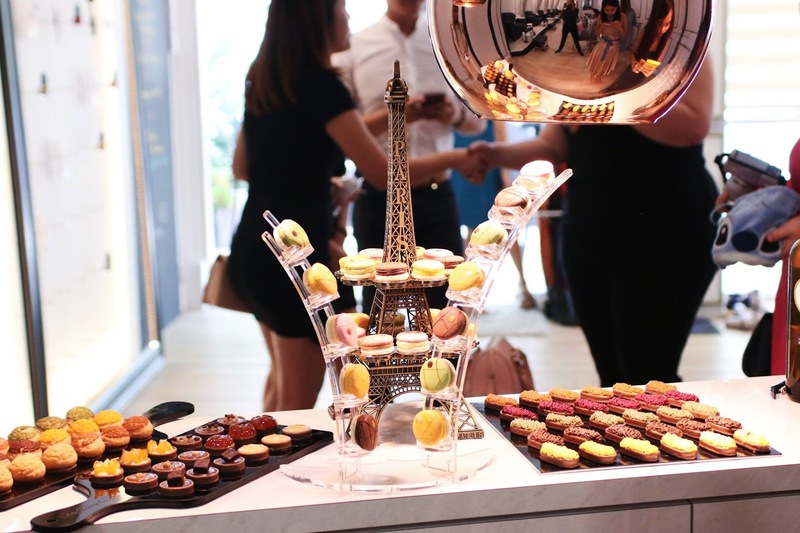 It was an intimate, elegant, evening soiree with decadent desserts served by the finest hotels around the world, paired with a sparkling dessert wine and nail pampering session. Where else can you enjoy being posh? The previous time I visited Posh was at a blogger's launch and now that I visited again after the refurbishment, I was so happy to see it grow into a black and white theme for a classic look instead of a girlish pink theme previously. I mean, it's not that I didn't like it previously(pink is my favourite colour!) but I was so proud to see it grow and it grew with the founder who I will introduce later who has matured in this business and in her style. Look at that gorgeous fluffy black chairs with golden comfy pillows! And yes I so very agree. Looks really do matter. First impression is everything. Like how I first stepped into this place and I knew I would be comfortable and felt cozy with the environment. It was very clean & minimal yet modern. A wide variety of nail polish to suit all types of preferences. Then, Sydney from the Butterfly Project welcomed all of us. 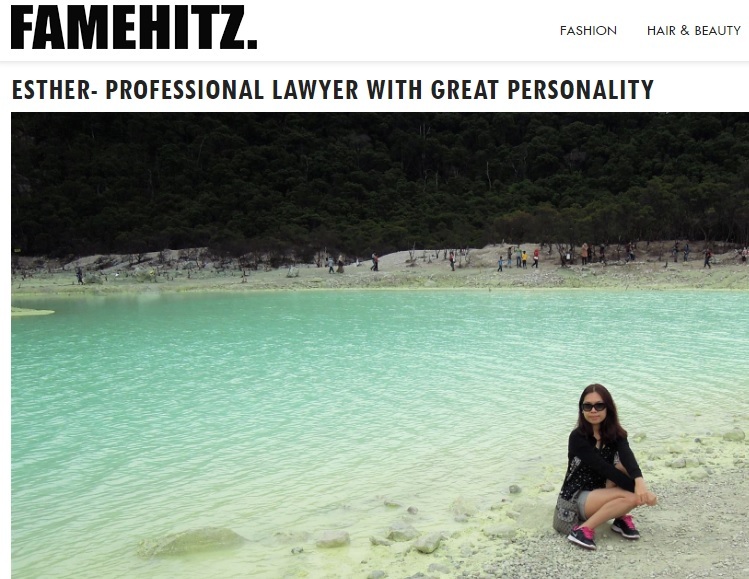 And here's the founder, Sereen Eng who is a superwoman. She is a wife, a mom and a successful businesswoman. I remembered asking her a favour for a friend's bridal mani/pedi and she arranged it immediately for me. Super efficient =) You can see her in the TTDI shop from time to time so do say hello as she's very friendly and with a boss' presence, you'll know that she's very hands on #girlboss She is also operating 3 other Posh outlets! She showed us around the newly refurbished shop. This is a makeup place where they provide makeup services for weddings/events. It can also be party place for bridal showers/gatherings. They can arrange it for you with caterings and even goodie bags! Super versatile and I am definitely shortlisting this place for a friend's bridal shower. This is their hall of fame where Posh received prizes or was featured. 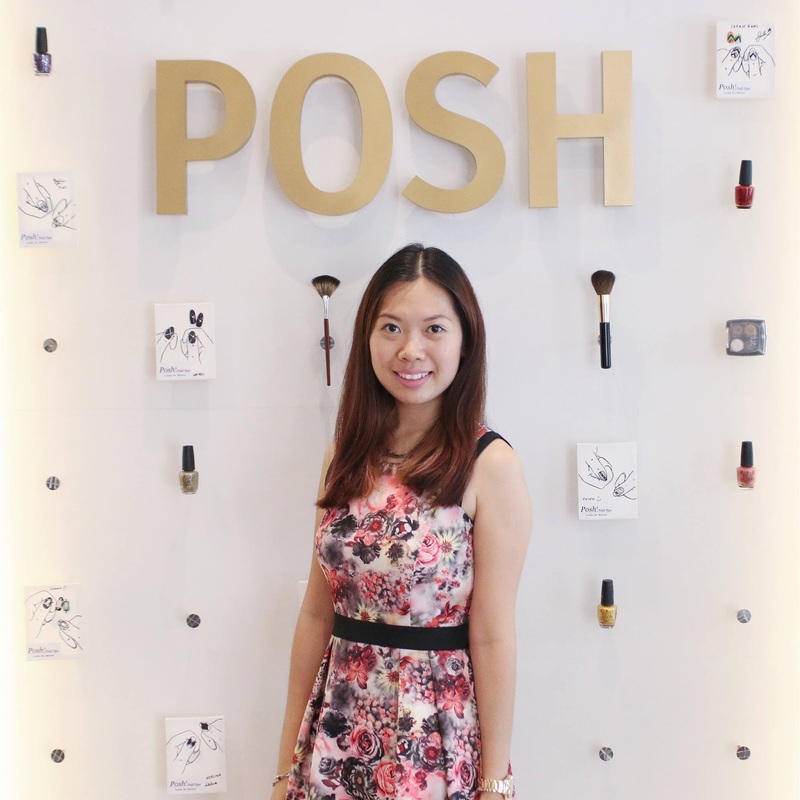 Did you know that Posh was recently recognised by the Malaysia Book of Records for presenting a one-of-a-kind and the very first Nail Art Fashion Show in Malaysia? Yeap, they're famous like that. 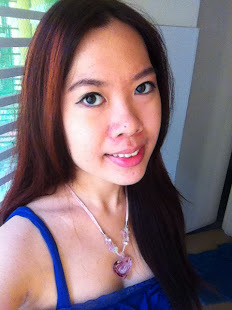 This is Posh creative director, Rachel who is very talented in nail art and creations. You may check out Rachel's creations at her work space in Posh which she regularly updates with new creations. And of course what is a party without desserts and wine? They supply delectable and delicious desserts to five star hotels. Their macaroons are double flavoured which was very unique and yummy. Loved the raspberry flavour. It was not very sweet which was a plus point for me. Moscato (Muscat in French) is a very versatile grape, being able to offer wines going from light fresh whites, to rich luscious sweet wines while passing with soft, slightly fizzy juicy wines like this one. This wine offers a fine mousse that has a delicate and intense bouquet, with touches of acacia, sage and hints of citrus fruits (orange in particular). Its sweet, clean flavour is enlivened by an attractive citric note and has a pleasant aftertaste of fruit and honey hill. It is a very addictive sweetish white, to enjoy fresh with friends for a nice late afternoon drink! 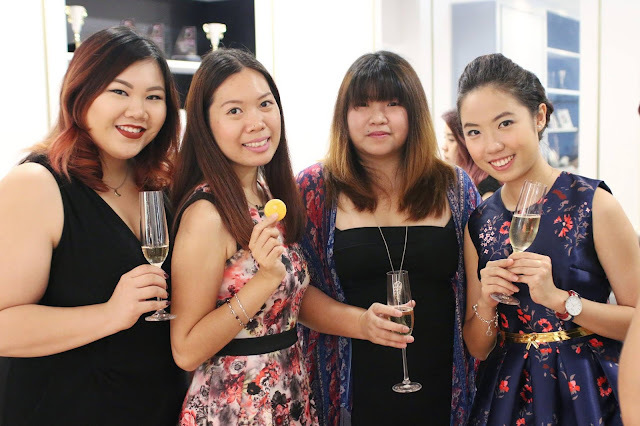 I have always been a fan of Moscato and will definitely look out for this one for brunch with my girl friends because it really suits my palettes and all the other girls loved it too. I swear I almost fell asleep in one of those comfy chairs doing my mani the other day. Next on the agenda is the nail pampering session. Getting my express manicure done. Received so many compliments for this. The end result was so satisfying! It was also a replicate of the design I wanted. It's a gradient colour with glitter and art. Simple yet elegant just how I love it. Very happy with the overall services. Plus they email you for a reminder as well as give a courtesy call one day before appointment date. They can even be contacted via whatsapp. It was all very convenient and easy going which is how a spa place should be to the customers. Posh as they describe themselves is more than just a beauty appointment. They provide professional manicure and pedicure treatments, nail art and enhancements, makeup and hairdo, as well as waxing and eyelash extension services. 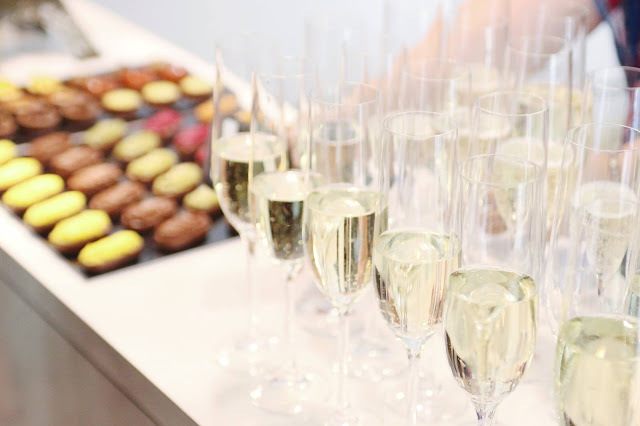 They also specialise in giving the ultimate celebration with pampering parties for any occasion. Do visit them for a pampering session of your choice ^^ You'll definitely won't regret.